Allen Outdoor Solutions is a St. Louis-based Irrigation, Outdoor Lighting, Landscaping, and Lawn Care company. They have been in business since 1993 and pride themselves on the motto: "Let one company do it all" for all outdoor needs. Doc's Lawn Care and Landscaping specializes in maintaining the perfect yard as well as making sure your irrigation systems are working properly. They also can take care of your small landscaping projects such as mulching and retaining walls. Chesterfield Irrigation Company was established in 1983 providing design, installation, and service of underground irrigation systems, including; commercial, residential, industrial, golf, landscape, and sports-field systems. We are a member of the Irrigation Association and are licensed, bonded, and insured. 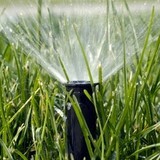 Many of our key employees have over 15 years experience in the lawn irrigation business. Our goal is to perform for our customers the highest level of quality installation and service. We are guided by the constant pursuit of quality in providing exceptional workmanship, extraordinary service, and professional integrity. Our collective commitment and dedication to you allows Chesterfield Irrigation to maintain our status as the premier irrigation company in the greater St. Louis area. Established in 2008, Bud Frank’s Lawn Care, has quickly built a reputation on a solid foundation consisting of three key principles: Dependability, Professionalism, and Precision. Appearance, curb appeal, and cleanliness are all critical in creating a beautiful neighborhood & home. My sole objective is to make these attributes come alive for you. Take advantage of our incentives & specials every month during the cutting season & pay your bill with ease through our email invoicing system. We pride ourselves in putting customer service back into lawn care with results that will exceed your expectations. Actually, the name represents two people, Bud Frost and Frank Schmidt - my grandfathers. One was a master musician, the other an outstanding carpenter and landscaper. Their names and legacies serve as my inspiration to meet the needs of my customers with creativity, precision, and professionalism on every job, for every client, every time. From small beginnings come great things. In 2008, I began Bud Frank’s Lawn Care with a push mower and three clients. The service has expanded each year, and now includes individual customers, commercial accounts, and property management companies. There are countless lawn care services to choose from, but probably few that reflect the same level of passion and commitment as Bud Frank’s. The goal from the beginning hasn’t changed – to exceed your expectation of lawn care by and providing you with value, a beautiful property, and consistent, dependable service. Green Turf offers a history of more than thirty years of professionalism in all aspects of irrigation, drainage and landscape lighting for commercial and residential properties. Our staff of expert designers and installers is capable of unique and effective solutions for projects of any scale. Buzzer's Lawn Service has been servicing St. Louis county 2003. We are a full service lawn care service. We offer weekly grass cutting services. 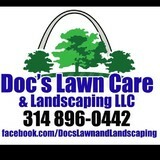 Advanced Turf Care in the Saint Louis Area. We offer three tiers of turf care packages, from the most basic to elite. We also offer individual services to care for the health and growth of your lawn. Providing economical and dependable solutions for your home and lawn. Kiefer's Lawn & Landscaping, LLC. Kiefer's Lawn & Landscaping, LLC in Fenton, Missouri, is an independently-owned-and-operated landscaping company. We serve both residential and commercial clients in the St. Louis area who need grounds maintenance, as well as snow and ice removal services. Our services are also perfect for subdivision trustees and real estate agents. Love Your Lawn. We Make It Easy. The biggest difference between Lawn Doctor and other lawn care providers is that we care more; the kind of caring that can only come from being local, and part of the greater community. If you are looking for a beautiful, healthy lawn that is free of mosquitoes and ticks, we have got you covered. WE ARE A FAMILY OWNED BUSINESS THAT HAS PROUDLY SERVED THE PUBLIC SINCE 1973. WE SPECIALIZE IN RESIDENTIAL AND COMMERCIAL LANDSCAPE IRRIGATION, RESIDENTIAL LIGHTING, HARDSCAPING, PAVERS AND DRAINAGE SYSTEMS. 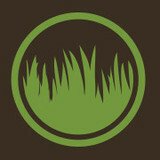 Green Elements is a small local and family owned company that offers a more personalized approach to your lawn care. With us, quality is a top priority along with your satisfaction. We pride ourselves on great service, superior products, dependable care and attention that the larger companies do not offer. We personally address each concern and promptly resolve any issues you may have. Our prices are very competitive. Give Green Elements the opportunity to service your lawn and you'll be glad you did. In addition to the maintenance side of gardening, Fenton, MO gardeners can help you with garden design and choosing specific plants and grass types for your climate and area. Find a Fenton, MO gardener on Houzz. Narrow your search in the Professionals section of the website to Fenton, MO gardeners. You can also look through Fenton, MO photos to find examples of yards that you like, then contact the Missouri contractor who worked on them.